Our 12,000 User's - Who Are They? CSRHub now has over 12,000 members. Often we are asked who uses our service. Based on a recent analysis, our users are from all over the world. 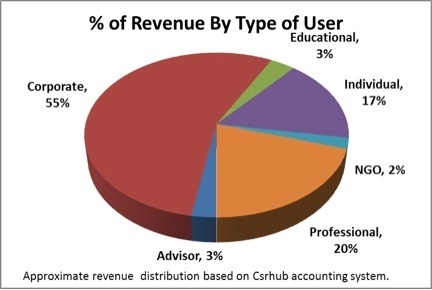 About half of CSRHub users come from North America and about a fifth come from Europe. Nearly 20% come from all parts of Asia. 42% of CSRHub users are liberal, 18% characterize themselves as Left and 34% are Center. Slightly more than half of our users are male. 55% of our users are corporate managers and about a fifth are from professional firms. 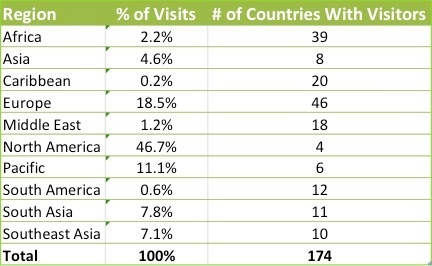 46% of our users are interested in companies from North America. 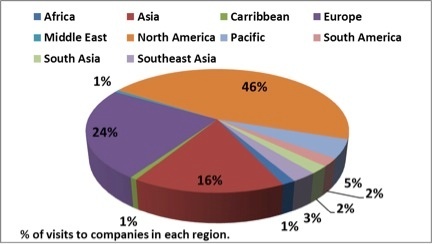 However, users are interested in companies from all regions of the world. Only 17% of the Global 500 companies are studied. Smaller companies get about 83% of the traffic on the CSRHub website. 57% of users are interested in company information and 25% do research and benchmarking. CSRHub provides access to corporate social responsibility and sustainability ratings and information on 8,900+ companies from 135 industries in 104 countries. By aggregating and normalizing the information from 300+ data sources, CSRHub has created a broad, consistent rating system and a searchable database that links millions of rating elements back to their source. Managers, researchers and activists use CSRHub to benchmark company performance, learn how stakeholders evaluate company CSR practices and seek ways to change the world.